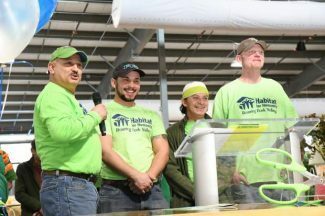 A few dozen people crowded into an opening ceremony Thursday afternoon to mark the major progress of this new location — what Habitat staffers are calling ReStore 2.0. The ReStore, though it may not be obvious to those passing by, equals more homes and jobs in the valley, said Scott Gilbert, director of Habitat for Humanity Roaring Fork Valley. Though it is a great place to get discounted household items, the ReStore also is a critical engine that drives Habitat’s projects in the valley. “We’ve always thought of the ReStore as a place to sell recycled stuff, but beyond that, if we can get items at good prices and good prices to customers, we can net more money for building houses,” Gilbert said.